If you want to connect to a computer remotely,you’ll need a VNCviewer for that. Tsclient may be good for you,if you want a graphical interface. ,you will see following screen. 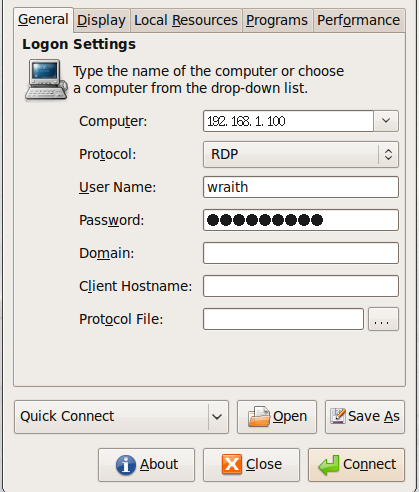 Enter the name of the computer or IP address,username,password,and domain if in need.Then click on Connect button. 1 user responded in " Tsclient,A Graphical VNCviewer for ubuntu "